As a full-time Real Estate agent I truly enjoy providing an exceptional, five star service to my clients. I have been in the industry for 15 years and have an extensive knowledge of the real estate industry. A lot of people have asked what my secret to success has been over the years and there is no "real" secret....it's just providing an outstanding level of service. I believe in offering consultation and assistance beyond just the sale of a home. 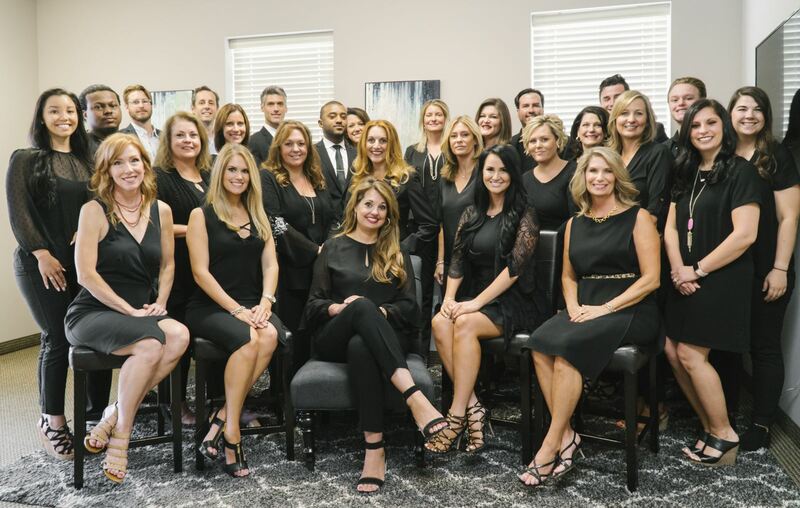 I have been fortunate enough to have been blessed with the most amazing team that helps me meet the needs of each of our clients on an individual level. With the help of my team, I can quickly respond to the needs of each of our clients above and beyond just the sale of each home. This high level of service creates a constant communication with clients to keep them up to date on the status of their transaction so I never leave someone wondering. I want to make sure you are completely satisfied throughout your entire transaction and then become your real estate agent for life! I look forward to hearing from you and assisting you with all of your real estate needs! Kevin’s outstanding work ethic and superior customer service have become an invaluable asset to The Christie Cannon Team. Kevin works closely with all of the Teams listings to ensure they are being marketed to their fullest extent on the Internet and in print. As a specialist in Customer Relations, Kevin works closely with our sellers to maximize each homes exposure. If your home is listed and you need more flyers or have questions regarding any of our advertising, feel free to call Kevin anytime. If you are thinking about listing your home and would like more information about what we do, feel free to call Kevin or Christie anytime! I would love the opportunity to be your realtor in the life changing event of purchasing your home. I do not take this role lightly and it is my commitment to you to exceed your expectations. You will soon learn that I truly care about you as my client and will be with you every step of the way. My priorities are focused on your wants and needs for purchasing your home. I use all of my skills and resources to work for you and to protect your interests. With a focus on communication and education, the transaction of your home purchase will be an easy one that you will enjoy. With all of that said, it is about you! I attended college at the University of West Florida and I have lived in Florida, Utah and Ohio before settling in Texas. I have two beautiful daughters who both attended Frisco ISD. I served three years as a volunteer director of Member Services with the Shawnee Trail Cycling Club. During this time we grew the club to over 270 members. I have now transitioned into off-road biking and hold a board position with DORBA. Through the National Association of Realtors, I have achieved the designation of Accredited Buyer Representative. Only 4% of realtors in the nation acquire this accreditation. It is through my education, testing and proven performance that I have achieved this honor. As a Buyers Agent Specialist, I enjoy working to make dreams a reality. I have experience in everything from condos in Downtown Dallas, new construction, pre-owned to farm & ranch. I am fortunate to be part of a team with over 35 years of combined real estate experience. I view it as an honor to be selected as the real estate professional chosen to help with your life changing decision. I love being a buyers agent with the reward of seeing the joy a family has when they receive the keys to their new home! Jennifer is from Atlanta, Georgia where she is a proud University of Georgia Bulldog and Southerner. She has held real estate licenses in California, North Carolina, Georgia and now Texas. Jennifer has an extensive selling background that includes new construction, Luxury, land sales, and coastal property management. Jennifer and her daughter, Georgia, have lived in Texas since 2009. She has previous experience working in the title and escrow as well as Business Development for the Champions School of Real Estate. Besides Real Estate, Jennifer enjoys sewing, current events, and SEC Football. She also contributes to numerous charities including Butterfly Wishes for Ellie, Epidermoylsis Bullosa, and Wheel to Survive. Tiffany grew up in Oklahoma, where she attended and graduated from the University of Oklahoma. She has a degree in Organizational Communications and Business. While she attended university, she played on the OU Tennis Team and won conference championships. Tiffany has lived in the Plano and Frisco area since 1997. Prior to her becoming a realtor, she managed and marketed technology with credit card companies as well as a project manager for a large bank. Now Tiffany is providing exceptional customer service in real estate. She ensures that she is supporting her clients at every step of the way. She treats every client like she would want to be treated. Tiffany enjoys working with first time home buyers, move-up buyers, and luxury home buyers. In Tiffany's spare time, she likes to play tennis, attend car shows or races, and cheer on her Sooners! She also is an active member of the Frisco Women's League and enjoys volunteering in the community. Buying a home is exciting! Seeing the joy on my client’s face when they realize they have found “the one” is my favorite thing about being a Buyer Specialist. My desire is to provide you with exceptional customer service, negotiate the best deal and be there for you every step of the way. One thing I consistently hear from my client’s is thank you for being patient and listening. To me, my client’s and the home they are purchasing are not just another transaction. I truly care about my clients and I want them to love the house they are going to make their home. I grew up in DFW and I’ve had the opportunity to watch this wonderful area grow! I graduated from Stephen F. Austin State University and later moved to Scottsdale, Arizona where I first acquired my Real Estate license in 2003. I have worked in Residential Resale and New Home Sales. I enjoy working with first time home buyers, move-up buyers and luxury buyers. I’m looking forward to helping you find your next dream home! David Dickerson, a native Texan, has lived in Dallas for the majority of his life and is extremely familiar with the growing real estate market surrounding the DFW Metroplex! Through his professional and personal endeavors, David has developed a strong repertoire for great customer service and satisfaction, in addition to having a strong work ethic and drive. David is a people person and truly enjoys helping families find their dream home! There is no job too big or too small that he won’t bring value to – and at the end of the day you will walk away with a successful real estate transaction and sincere, dependable relationship that lasts! Send The Cannon Team a message.